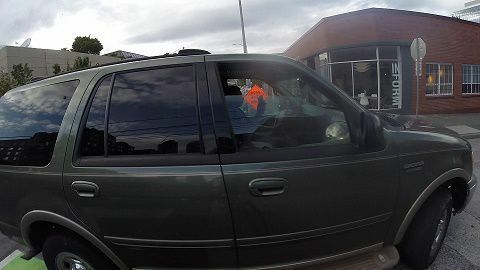 Hit-n-run crash caught on Seattle cyclist's GoPro camera. You can see the cyclist was in a marked bike lane. In fact the crosswalk was painted green as warning about bicyclists. The crash happened on Dexter Avenue North in Seattle, which is quickly becoming notorious for bicycle wrecks. A closer view shows the driver was distracted using his cell phone!! The crash happened at the same intersection of the fatal bicycle wreck involving Michael Wang in 2011. Dexter is one of the most highly used bike paths in Seattle. 2012 statistics show that over 50,000 bicycles per month cross Dexter Ave. N. and Denny Way. Seattle cyclist need to be extra vigilant when commuting to and from work on Dexter Avenue. As population grows and bicycle use increase to avoid vehicle congestion more bicycle v. car collisions on Dexter seem likely. If you been injured in a Seattle Bicycle Accident there is a free resource available to you from Max Meyers Law. Ordering Bicycle Accident Secrets Unlocked is a great first step after a hit-n-run bike accident.